No one will ever tell you the transport industry is an easy game. If they do, chances are they aren’t in it. Surviving takes perseverance, resilience and determination. Succeeding in the industry takes all those things as well as an incredible work ethic, an aversion to sleep-ins and the ability to adapt and evolve to whatever gets thrown your way. The Singh family, who run one of north Queensland’s biggest towing firms in ABC Towing is a true success story. They also epitomise all the attributes just mentioned. 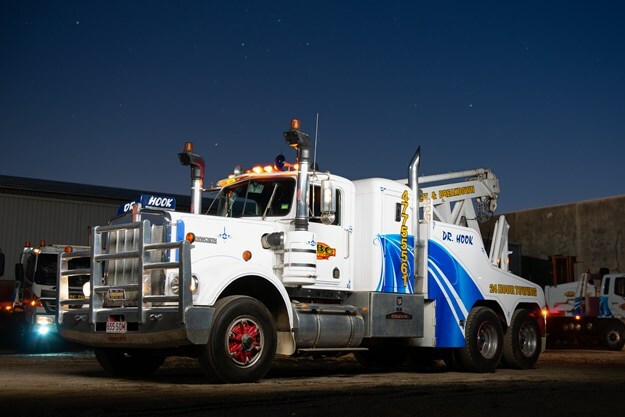 ABC Towing has been a presence in Townsville and Queensland for well over 20 years. The team behind the success of the company is Rupen Singh, his wife Sudheshna and their kids Rav and Sonia. Rupen is apparently attempting to take a step back from the business and look towards retiring, but as he’s spent his life working flat out it may be too big a leap. Hence, it was no surprise to find that Rupen was away working when I called in to meet the team. So I sat down with Rav and another member of the team, Lenny Turner (who appeared in Owner//Driver’s March 2018 edition). Both filled me in on the colourful nonstop journey that has led to ABC’s success. A very entertaining book could be made from stories told at the Singh family get-togethers I’m sure. Rupen was running a successful transport company in Fiji while in his early 20s. Rav recalls the time his dad joked about having to unload a 21 tonnes of river rock off their single-axle truck when the scales were unable to read the gross weight. It was a different era in Fiji in the 1980s, the roads back then actually made the current Bruce Highway look like an autobahn. Apparently with some of the loads they would choose to reverse up and down a lot of the hills as the low reverse gear was safer. In 1987 the Army coup in Fiji resulted in some major life changes for Rupen and his young family. The Fijian Army bought all of Rupen’s trucks and his work, leaving him with some big decisions. He chose to pack up his family and migrate to Australia – Townsville to be precise – and start afresh. If there was a way of bottling and marketing the Rupen’s work ethic and dedication to his family, you could make a fortune. Starting from scratch in a new country, Rupen set about doing whatever he could to provide for his family. He spent the next decade trying his hand at any opportunity that came along. 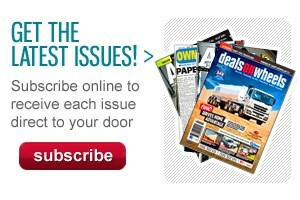 including running a fish and chip shop, a minimart, fixing and reselling old cars, even being a pizza boy for a while. You name it, he tried it. While doing a bit of everything he was also working as a mechanic at his brother’s workshop. It was this job that gave him the opening to get back into trucking. In 1997 he bought a small Toyota Dyna from its owner who was delivering breakdowns to the workshop. The truck was already branded ABC Towing when Rupen bought it. "It was in the days of the old phone books," Rav recalls, "so it was called ABC to get it at the front of the book." From the one small Toyota Dyna the Singh family’s hard work has grown the fleet to almost 50 vehicles. Rav is the first to admit though that that number varies a lot. 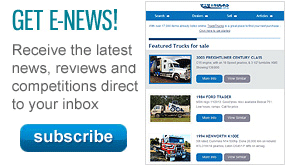 "The number of trucks he has changes daily," he laughingly informs me. "If there’s a bargain out there he will find it." Like the fleet numbers, the work of ABC towing is extremely varied. The Singhs have made it almost a mantra to accept any work that comes along. "When people don’t know who can move it, or people question how they’re going to move it, then they call a company like us," Rav says. "We say ‘yes’ and then work it out from there." Those words aren’t just for show though. The willingness to tackle any challenges for their customers has seen them moving everything from cars to forklifts, bogged four-wheel drives to recovered truck wrecks, cubby houses to eight-metre wide loads, bird aviaries to oversize fish tanks and even helicopters and dead whales. Yes, and I mean a dead whale. Rav still lists that as their most interesting and challenging move. "We got a call from the maritime guys who said they had a baby blue whale that had died and they wanted it for research in Brisbane." So, in accordance with the family’s motto of "no worries mate, yeah we’ll get it done", the ABC boys sent a tilt tray out to help bring in a very rare baby blue whale carcass. Another recent addition to the ABC versatile portfolio is its roadside breakdown vans. The company itself has two fulltime mechanics working in its fully kitted workshop. Rupen, however, saw the need for a roadside assistance team that could assist in everything from locked keys and batteries to major breakdowns. Anything that can’t be fixed on site can be picked up by one of ABC’s varied tilt trays or tow trucks. In the office, both Sudheshna and Sonia handle ABC Towing’s administrative duties, continuing Rupen’s can-do attitude and strong work ethic. Although Rav spend his youth working the dirty overalls side of the business, he has also moved into the office as Rupen attempts to retire. Rav reiterates his fathers’ comments though when he applauds the staff they have helped with the success of the business "We have a lot of good guys" Rav says. "It’s more like a real family." Lenny is one of those adopted family members, and added to Rav’s description of Rupen’s hectic story. Lenny has been with ABC for almost a decade and speaks very highly of the Singh family and the variety he gets in his job. "I do anything and everything, road trains out west, Coates hire stuff, always something different," Lenny tells me. Originally trained as a mechanic, his career behind the tools lasted as long as an Australian Prime Minister’s reign. "Once I finished my apprenticeship I started driving trucks," he laughs. Lenny’s varied skill sets and adaptability serves him well at ABC. He still does do a fair bit of driving but is currently assisting the team in rebuilding and rejuvenating another of Rupen’s ‘right place, right time’ purchases – a 2007 388 tri-axle Peterbilt. Yes, the Pete will be a working truck when needed it but was originally bought simply due to Rupen’s love of trucks. 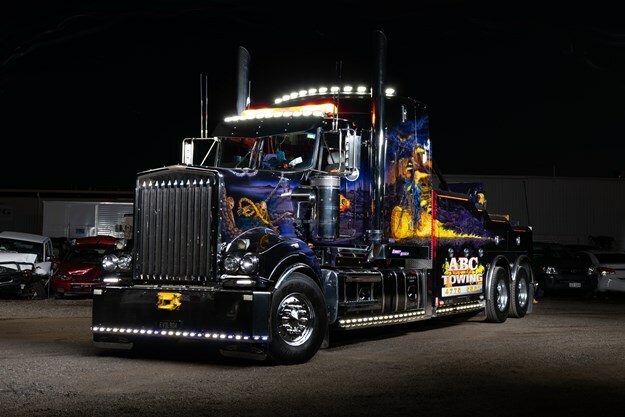 Its iconic paint job will stay and the truck is destined to become one of his special rigs. "He’s a person who takes a lot of pride in his fleet," Rav informs me. "Most of the fleet is uniform; then we have a couple of special ones." Another of those special rigs is the one that Rav admits is his dad’s favourite, a 1979 W-Model Kenworth. "He’ll never get rid of that one," Rav says. "He loves that truck." It’s fitting that in a fleet of over 50 vehicles, including jaw dropping T904 tow truck, Rupen’s favourite is a 1979 classic. 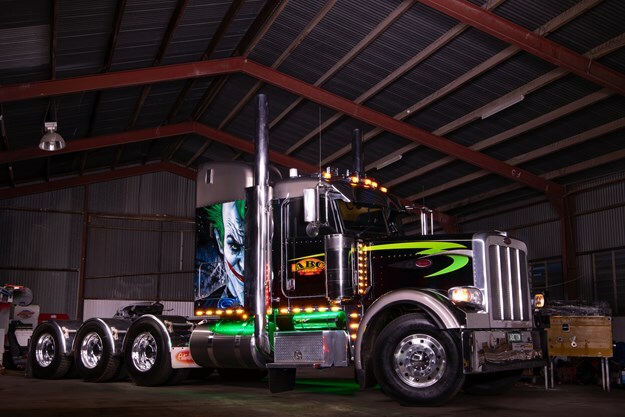 The W-model Kenworth displays all of the traits that has made the Singhs so successful. Rav says it’s up for the challenge, it’s versatile enough to do anything and it’s can handle hard work. 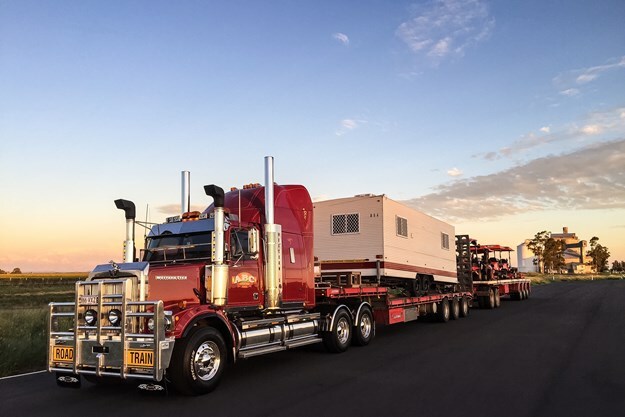 Yes, the transport industry is a tough arena, but Rupen and the team at ABC Towing have shown that the rewards are there if you’re willing to put in the hard yards.